Campbell Lodge in Thorpe on the Hill, near Lincoln, Lincolnshire sleeps 4 people. 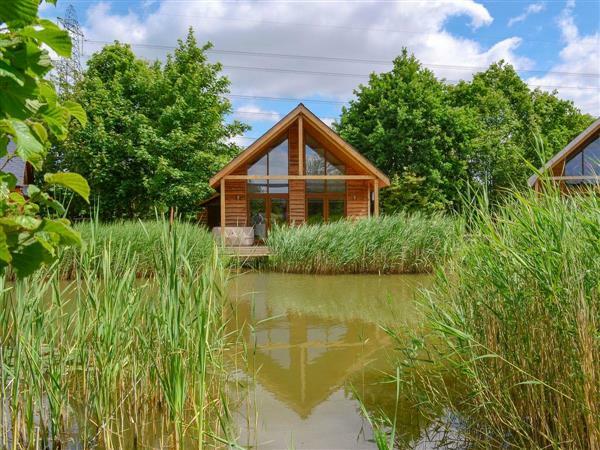 Campbell Lodge near Lincoln is set alongside a fishing lake, and with its own private hot tub; this beautiful lodge is on a quiet park, with a golf course next to it, which has a bar and restaurant. The lodge has two ground floor bedrooms, and the living room has a mezzanine with a double sofa bed for a further two guests. Lincoln is close by with its cathedral, castle and the Magna Carta visitor centre, which are all worth visiting. There are many shops, bars and good restaurants to be found in the Bailgate area. Newark Showground, which is famous for its huge International Antiques and Collectors Fairs, as well as many other events, is a 10-minute drive. Lincolnshire Showground is about a 15-minute drive away. The shop is 1 mile, with the pub and restaurant ¼ mile from Campbell Lodge near Lincoln. Campbell Lodge near Lincoln is all on the ground floor. Living room: With 28 Freeview TV, DVD player and patio doors leading to decking. Dining room: Galleried with double sofa bed. Kitchen: With electric oven, electric hob, microwave and fridge/freezer. Gas central heating, electricity, bed linen and towels included. Travel cot and highchair. Decked area with sitting-out area and garden furniture. Hot tub for 4 (private). Private parking for 2 cars. No smoking. Please note: The decking leads out onto a lake. Holidays at Campbell Lodge run from Friday to Friday. For a better idea of where Campbell Lodge is, you can see Campbell Lodge on the map below. 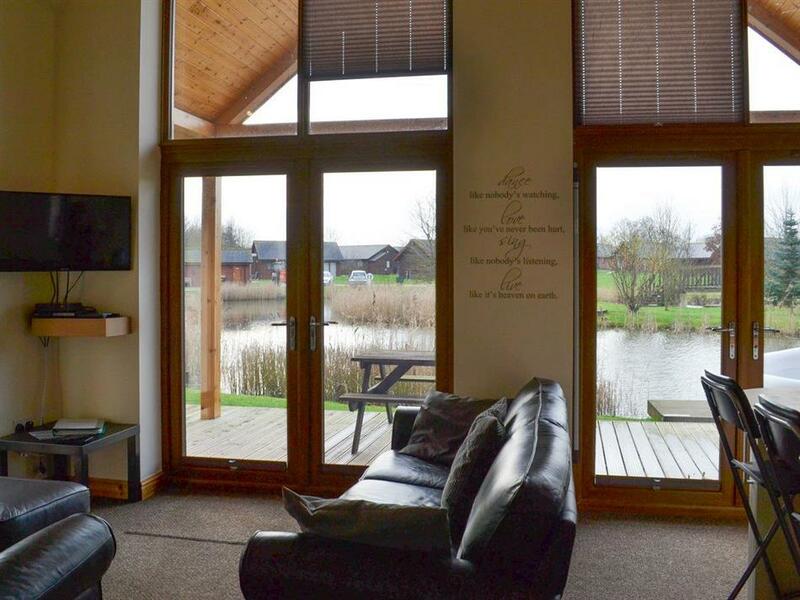 Campbell Lodge is in Lincolnshire; should you be on the lookout for a special offer, you can find all the special offers in Lincolnshire. It's always worth checking to see what is on offer at the moment. Do you want to holiday near Campbell Lodge (UKC1393), you can see other cottages within 25 miles of Campbell Lodge; have a look to find your perfect holiday location.